Don’t let an unsolved crime get you down. 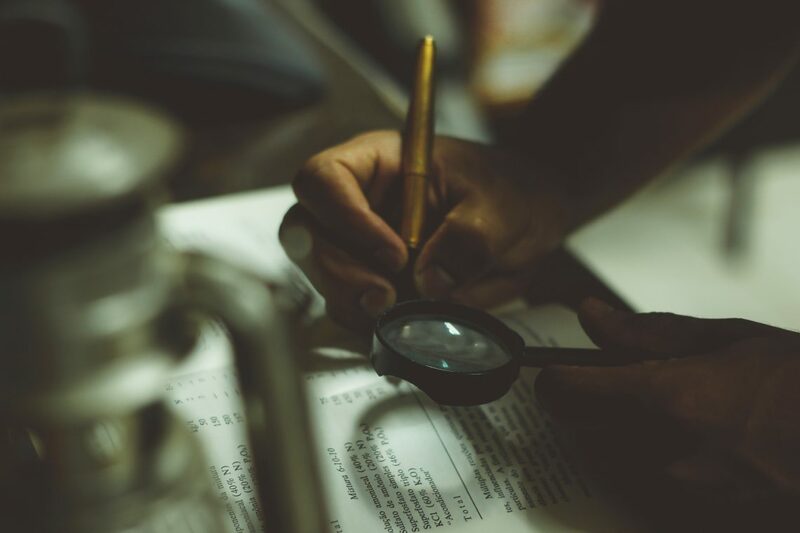 If you find yourself the victim of an unsolved crime, where the police and the law can’t find evidence or details to support you, hire a private detective to plead your case for you. A private detective has special resources and pulls to get you further in an investigation than you would on your own. A private detective has surveillance equipment and interrogation skills to find new evidence and witnesses to support your case. They’ll be able to read all of the reports made when the case was opened and collect new evidence such as fingerprints, DNA, audio and video enhancements, and much more. The right question at the right time could reopen your case. Sometimes missing evidence is the key to your unsolved case. A private detective can look for the stolen property needed to get your case heard. Any missing property that is collected is absolutely admissible in a courtroom. You need a private detective that is also former law enforcement, so that they know the requirements for keeping everything legal and above board. Private detectives have networks of contacts that they can use to help with your unsolved crime. In fact, a private detective asking for a case to be re-looked at or evidence to be released could be met with a more accommodating manner than if you or your lawyer were to ask. When you want a crime to be solved, it’s important that you follow all of the rules. A private detective will advise you on best practices and will know where to start to get your case heard again. Above all, a private detective is a fresh set of eyes on your case. By the time it gets dropped, even you have looked at all of the presented evidence and details over and over again. It can be easy to miss something when you’re tired and discouraged. This is why a private detective is so valuable for you. They will provide fresh energy to the case. If you are the victim of an unsolved crime, call a private detective right away. At All Private Investigations, LLC, all of our private detectives are former law enforcement officials with experience in surveillance, courtrooms, and protective services. You never have to feel alone. Give us a call today at (631) 759-1414 or use our contact form HERE.